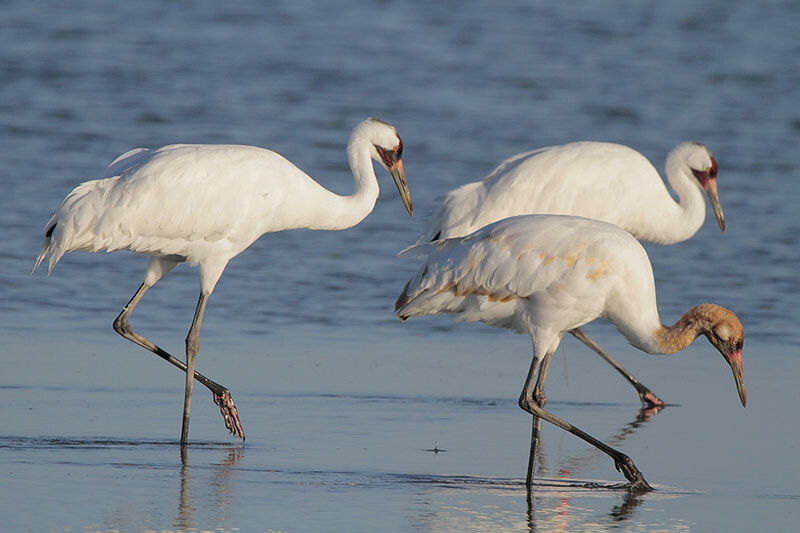 North America’s tallest bird, and one of its most endangered -- the Whooping Crane! There are fewer than 600 in the world even when you count the ones in captivity. They’ve rebounded from an all-time low of 15. The only wild migratory flock – about 275 – winters along the Texas Gulf Coast in the Aransas National Wildlife Refuge. 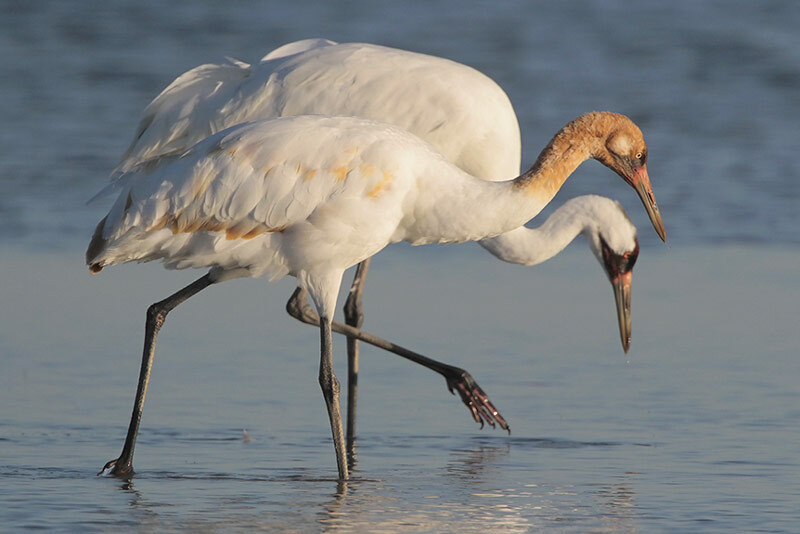 Check them out at the annual Whooping Crane Festival February 19-22, 2015! All aboard! Today, we’re off to see North America’s tallest bird, and one of its most endangered. Whooping Cranes! [Calls of Whooping Cranes] There are fewer than 600 in the world even when you count the ones in captivity. They’ve rebounded from an all-time low of 15. The only wild migratory flock – about 275 – winters along the Texas Gulf Coast in the Aransas National Wildlife Refuge. Looks like our boat – the Wharf Cat – is ready to load! That’s Ray Kirkwood, a Texas Master Naturalist. [boat gets underway] On our way to the refuge, we’ll see lots of Bottlenose Dolphins and Laughing Gulls [calls of Laughing Gulls]. 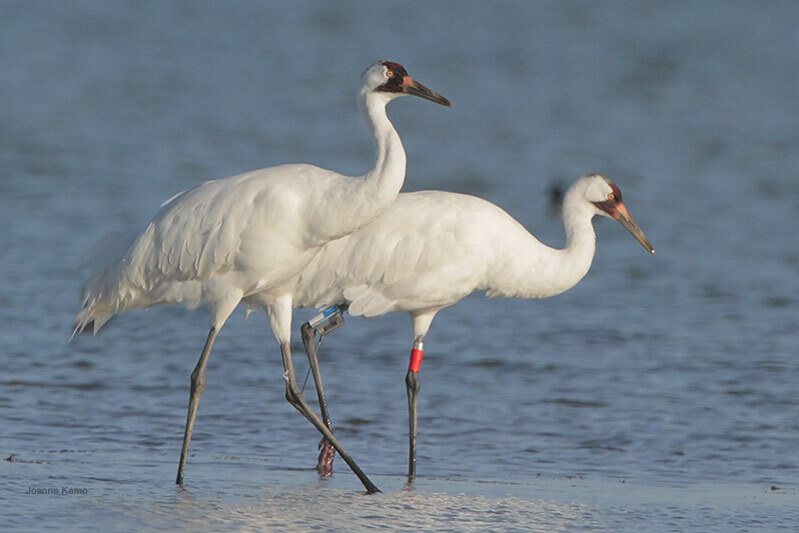 All Whooping Cranes in the world today are descended from this one wild population. 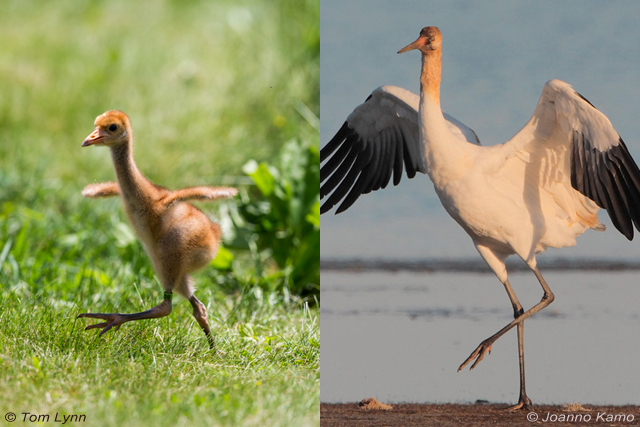 You can follow birds from this flock to their spectacular nesting grounds in northern Canada, and learn who’s helping cranes, at our website, birdnote.org. Bird sounds provided by The Macaulay Library of Natural Sounds at the Cornell Lab of Ornithology, Ithaca, New York. Calls of Laughing Gulls  recorded by G.F. Budney; calls of Whooping Cranes  recorded by George Archibald. 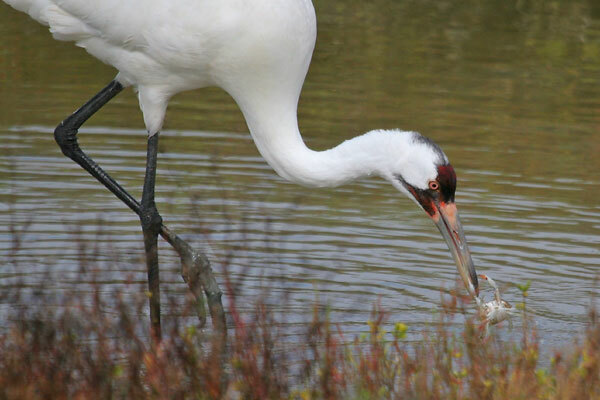 BirdNote attended the 2014 Whooping Crane Festival. Check out our blog posting! Check out Wood Buffalo National Park - where wild Whooping Cranes nest!